The following art articles on lay preaching which have appeared in a variety of journals, news magazines and papers, and web sites. In some cases these links go directly to the on line resource and in others the link takes you to a pdf of the article which you can download by selecting the “Save as…” option. Download the free Adobe Reader here. 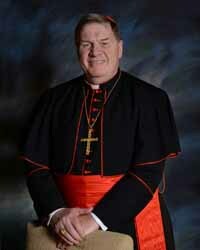 Joseph Cardinal Tobin, Archbishop of Newark has expressed some of his views of women in the Church. In an interview with Nicholas Kristof of the NY Times, he stated “I don’t believe that there’s a compelling theological reason why the pope couldn’t name a woman cardinal.” Click here to download a PDF of the full article. 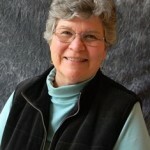 In an interview with Kimberly F. Baker in America, he noted that Pope Francis, while maintaining the traditional exclusion of women from priestly ordination, has appointed a “study commission…to look at the question of women in the diaconate.” Phyllis Zagano, a leading American theologian, is a member of that commission. Click here to download a PDF of the full article. The change to church law governing liturgical translations released by the Vatican over the weekend is “good news,” liturgical experts say. But Catholics should not stop saying, “And with your Spirit,” just yet. Any revisions to language at Masses in the United States will not happen immediately and will be primarily up to the U.S. bishops now. Read NCROnline article. Click here to go to video on YouTube. Interview with Dr. Phyllis Zagano. 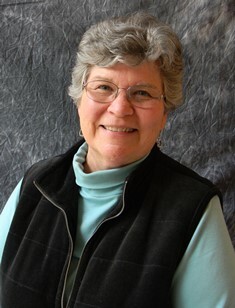 Phyllis Zagano is Senior Research Associate-in-Residence and Adjunct Professor of Religion at Hofstra University, where she has continued her research in Christian spirituality and the history of women in the Church since 2002. Prior to that, she held joint appointments to the faculties of theology, communications, and international relations at Boston University. She has also taught at Fordham and Yale Universities. She holds a baccalaureate degree from Marymount College, Tarrytown, New York, a Ph.D. from Stony Brook University, and master’s degrees from Boston University, Long Island University, and St. John’s University. Lay Preaching: By Whose Authority? by Elissa Rinere, CP. This article originally appeared Preach, May-June 2006. This pdf came from the Partners in Preaching web site mentioned above. The article is not available on line nor is the journal. 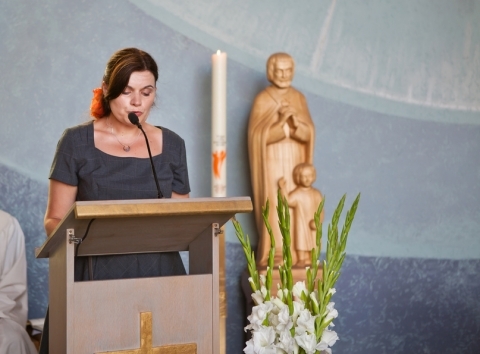 “Why are we silencing women (and lay) preachers” by Sr. Christine Schenk, CSJ, appeared in the National Catholic Reporter September 18, 2014. It provides an overview of the history of lay preaching in the Diocese of Rochester, recent changes in diocesan policy, and a discussion of some issues in canon law. “Lay preachers in Rochester want to be at the pulpit again.” by Peter Feuerherd, appear in the NCR Online March 10, 2016. This is an overview of lay preaching in the Diocese of Rochester since 1970’s and the current situation today. The bishop of Rochester, Salvatore R. Mattano, has determined that canon law does not permit lay preaching at the time of the homily in a Mass. 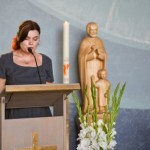 While such preaching is no longer permitted, a group of lay preachers has created a web site where lay women and men can share their reflections on the Sunday readings. This article is also available as a pdf by clicking here.